About Us | We serve the Cypress, Houston, Spring, tomball, Magnolia, The Woodlands, and the surrounding communities. With their shared beliefs in the power of continuing education, innovative technology, and advanced training, Dr. Terry Councill, Dr. Jonathan Glass, and the Councill Dental Group team possess the skill and experience to address all your dental care needs so your family can enjoy a lifetime of healthy smiles. We proudly serve individuals and families from Cypress, Houston, Spring, Tomball, Magnolia, The Woodlands, and the surrounding communities. 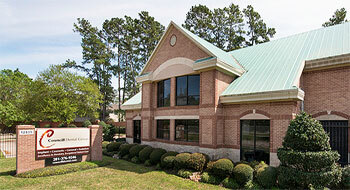 Contact our Cypress dental office today at (281) 376-9246 or request and appointment online . Our advanced technology ensures an accurate and efficient approach to dental care. 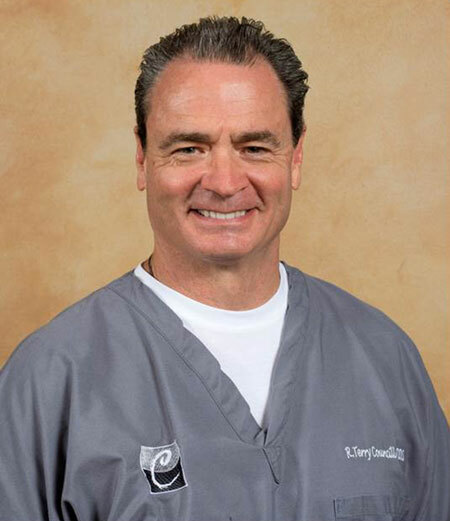 Dr. Terry Councill graduated with his DDS degree in 1982 from University of Texas Dental Branch at Houston. He then went on to complete the curricula of both the L.D. Pankey Institute and the Misch International Implant Institute. He currently holds fellowships in the Academy of General Dentistry and the International Congress of Oral Implantology. In 2010, at University of Southern California, he completed IV sedation training under Dr. Stanley Malamed and Dr. Ken Lee. In 2016, he completed the 300-hour Dental XP on-line Externship and is eligible for the Associate Fellow Exam offered by the American Academy of Implant Dentistry. For 31 years, he has maintained a fee for service private practice in the Cypress, Texas, area where the emphasis has been on providing total services. More recently the emphasis has shifted to the placement of dental implants, hard and soft tissue augmentation, and cosmetic development. He has been married for 38 years, has two grown children and a granddaughter. Dentistry is his passion and main hobby. Other interests include flying, traveling and fly fishing. Dr. Jonathan R. Glass, D.D.S. Dr. Jonathan R., D.D.S. enjoys helping our patients feel both at ease and empowered. Dr. Glass has a special knack for balancing functionality with esthetics. He strives to ensure patients feel at ease and receive the highest quality dental care possible. Originally from Louisiana, Dr. Glass attended Texas A&M University where he earned a Bachelor of Science degree in Biomedical Science. Graduating with honors, he was a regular on the Dean's Honor list. 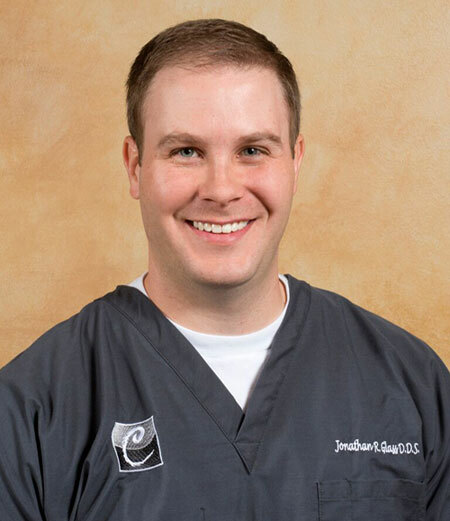 After receiving his Doctorate of Dental Surgery from Louisiana State University's School of Dentistry, Dr. Glass worked at the LSU Interim Hospital in New Orleans and spent a year in residency at the prestigious University of Alabama at Birmingham refining his skills by providing dental care for medically compromised patients. Member of the American Red Cross through whom he holds certifications in Basic Life Support, Advanced Cardiac Life Support, First Aid, and AED. Outside of the office, Dr. Glass enjoys spending time with his wife and two children. In addition, when he isn't spending his free time playing golf, fishing, hunting, or actively participating in his church, he divides his time rooting for both Texas A&M and LSU.